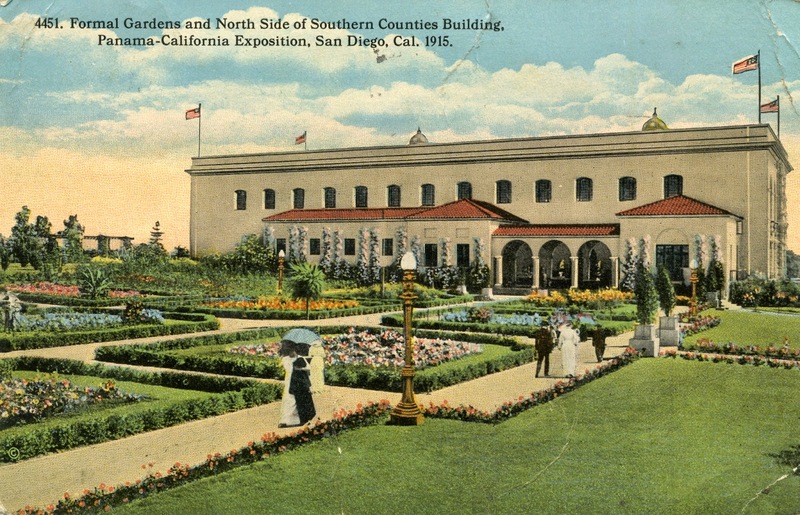 I'm excited to be able to incorporate a couple postcards from my collection in the series of posts celebrating the 100th anniversary of Balboa Park. 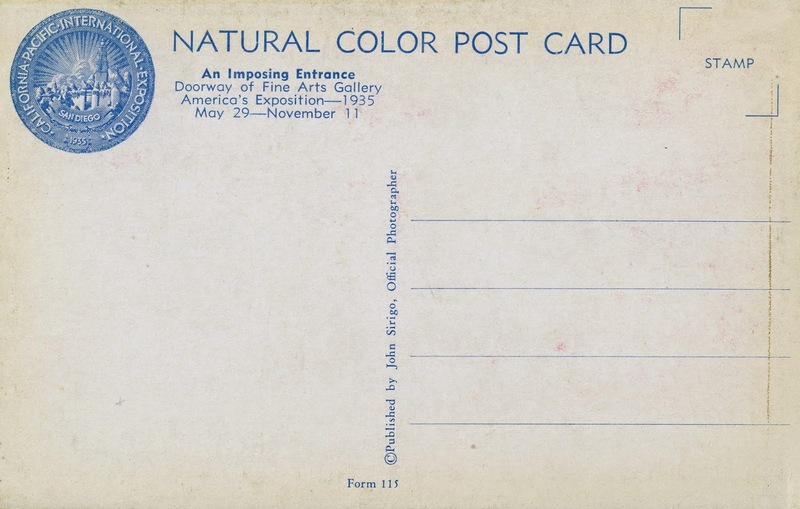 The first one is from 1915's Panama-California Exposition. 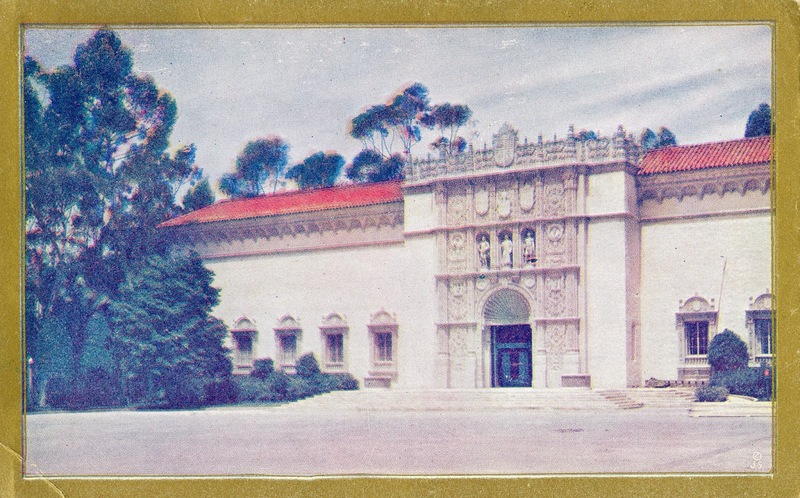 The second, from the 1935 California Pacific International Exposition, features the 1926 San Diego Museum of Art. 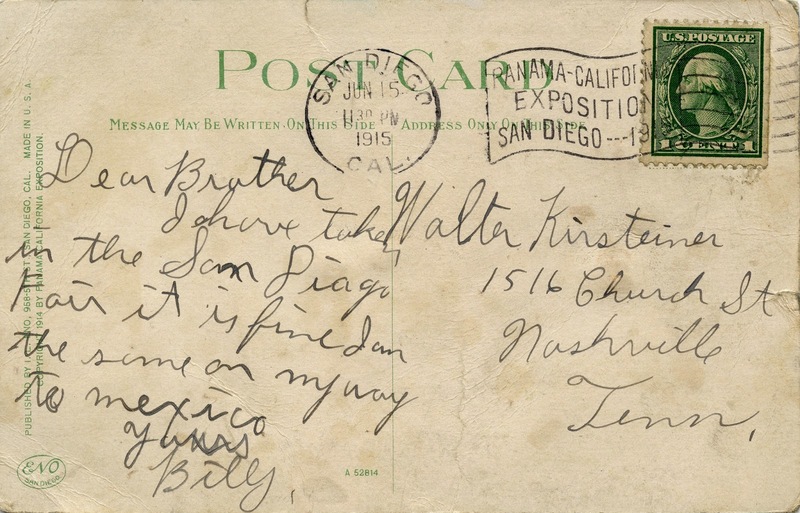 The first two entries of the "Balboa Park turns 100" series can be seen here and here.